After being kidnapped by the cult Gorgom on the night of their 19th birthday, stepbrothers Kotaro Minami and Nobuhiko Akizuki were submitted to a cyborg surgery with the purpose of becoming the candidates for the next Gorgom Creation King. Both of them are called Century Kings and are destined to best each other in a final battle - whoever wins will become the next Creation King. Kotaro escaped before getting brainwashed (which is the final step in the surgery), with help from his foster father, and turned against Gorgom. He soon finds out the horrific truth from his stepfather: Gorgom originally killed his true parents and, since both Kotaro and Nobuhiko were born on the day of a solar eclipse, referred as "Black Sun" and "Shadow Moon". Kotaro, taking on the name of Kamen Rider Black, was determined to rescue his stepbrother from Gorgom while protecting Japan. 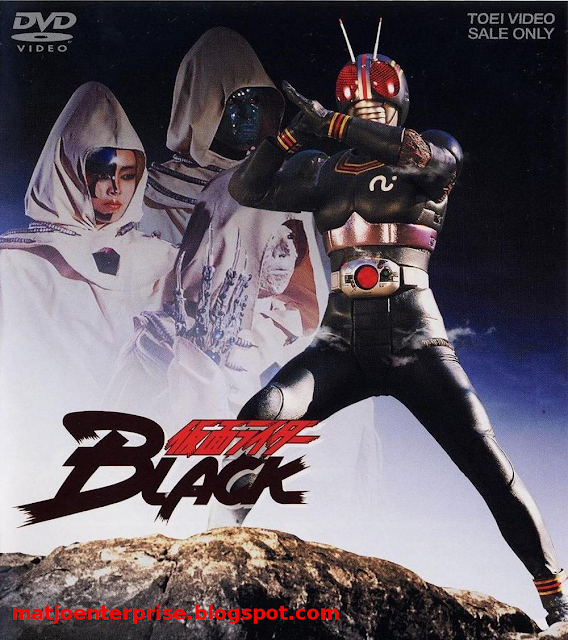 However, later in the series, Nobuhiko emerged as Shadow Moon to fight Kotaro with the survivor becoming the next Creation King.